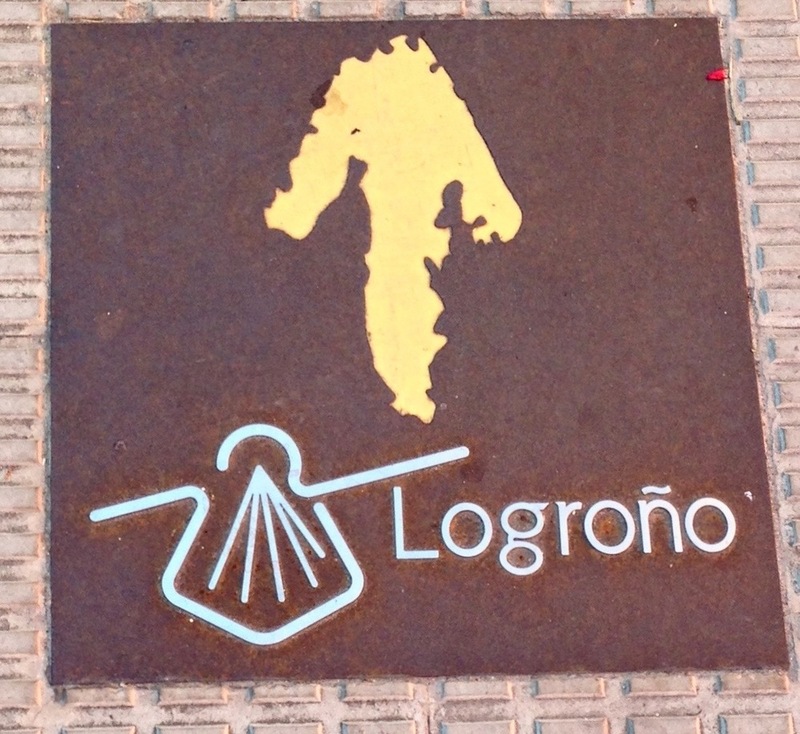 Logroño is a great place to stay while on a wine tasting excursion in La Rioja. It's a 30 or so minute drive to wine country, but population-wise it's the largest city in the area, so it tends to have the most going on. A main reason for staying in Logroño is the tapas and pinchos (with a tapa being to share and a pincho being for an individual). 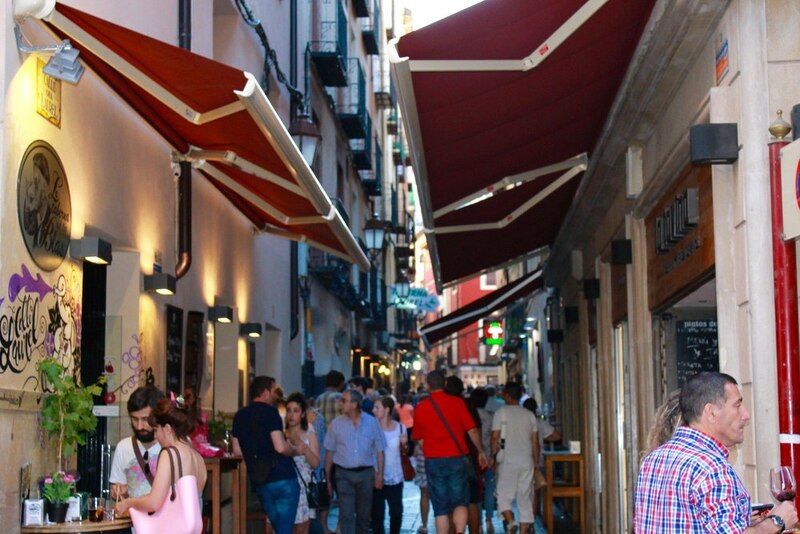 An excellent Logroño nighttime activity is to wander up and down Calle del Laurel and Calle San Juan in search of great tapas and wine. This place is simple: small sandwiches that they call bocatitas and wine. For €3 you can get both. The sandwiches are fresh (but don't worry, you won't find vegetables... it is still Spain after all) and their wine is among the best offered during the pincho hours. For a few euros you get three cheeses and a glass of wine. When you walk in they'll ask you if you want vino blanco (white wine) or vino tinto (red wine) and if you want them to pick your cheeses (recommended). If they have a truffle pecorino, specifically request it because that's pretty much the best cheese that exists. It's wine and cheese, of course I'm going to recommend it! This is technically a restaurant, but La Anjana is a great place to take a break from pinchos and have a seat. It's situated on a small plaza and offers more typical dinner plates (and prices). 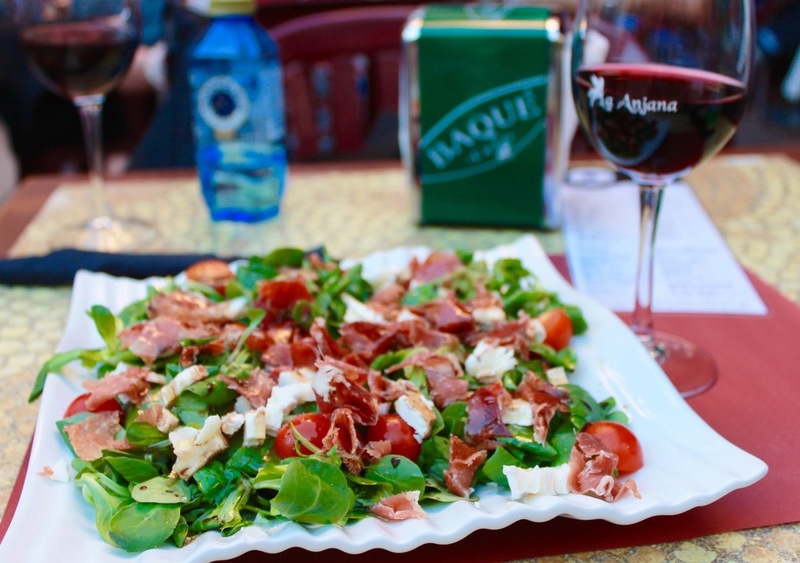 The goat cheese salad with jamon iberico is a delicious plate to share. If you're lucky, you may also have complimentary live music from a street performer. The Spanish guitar player who serenaded us was fantastic! When in Spain, one must try patatas bravas. La Taberna de Laurel is the place to get them in Logroño. Bravas can be hit or miss since pretty much every restaurant in Spain has them on the menu, but at this spot they're piping hot with a creamy, delicious brava sauce over the top. Enjoy! The food at El Mexicano is far from gourmet, and you're best off going with something standard like the ground beef quesadilla. The reason to come here, however, is not specifically the food, it's the salsa. In Spain it's hard to find truly hot food, which makes El Mexicano an anomaly. If you venture to El Mexicano and ask for the hot salsa, beware (and be excited because it's so awesome if might make you cry). Since I cheated with La Anjana, I'll give you one more. A great place to end the night is Torrecilla. 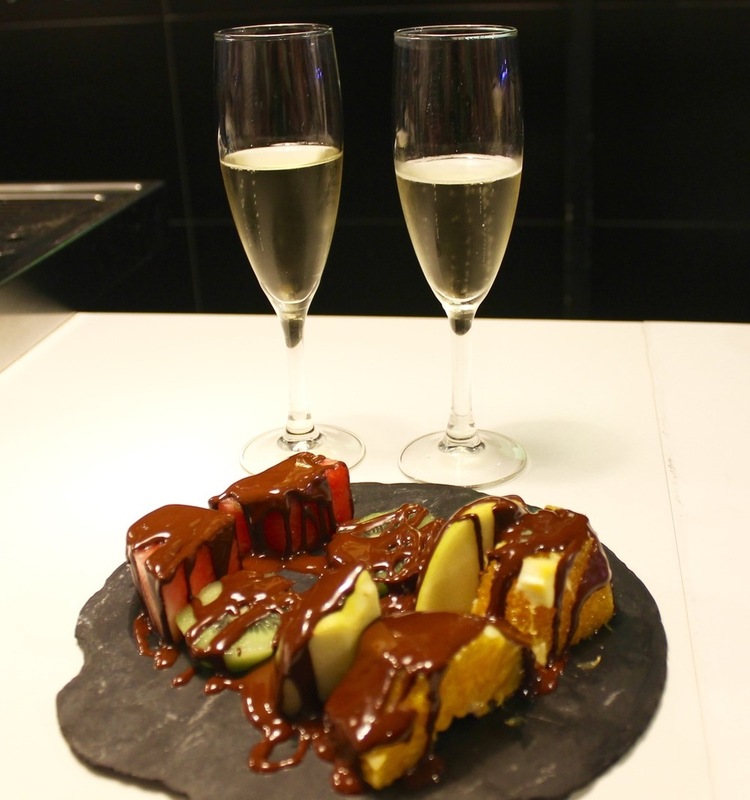 Enjoy a copa de cava (Spain's sparkling wine) and chocolate covered fruit for a perfect end to your evening. If you're still hungry when you arrive, try their mini hamburger before venturing on to dessert. Want to know something else awesome about Logroño? The traditional route of The Camino de Santiago passes right through town. I'm very excited for my special dinner of pinchos when I venture out on the trail this spring.